« Does the photoshop have a refund policy? It always struck me as being the height of imperial ignorance that The English wore blue, a colour which appears nowhere on their flag and has no other reason for appearing than its appearance on the British flag – which is, of course, courtesy of us Scots. In a way it’s flattering that they’re so keen to include us but I, for one, really don’t wish to be involved. Getting England to realise it’s not Britain is almost as hard as trying to convince America it’s not the World – but I’m sure we’ll carry on reminding them both. 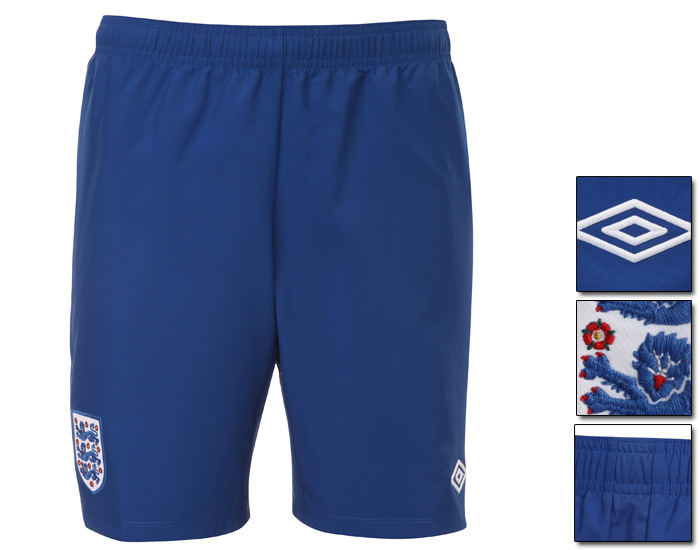 To add hilarity to their obviously injured pride, The English kit has been designed by former Joy Division sleeve designer Peter Saville – so at least we know what sort of miserablist sounds went into clothing the most depressingly unattractive football team Britain has ever produced. This entry was posted on September 3, 2010 at 11:46 am and is filed under Calcio, Disasters, New Stuff, Shopping, Star "Style". You can follow any responses to this entry through the RSS 2.0 feed. You can leave a response, or trackback from your own site. 2. It has returned the blue shorts. Ultimately though money speaks louder than any political (if it existed) will. Bring out a new kit with snazzy new shorts and kids will badger their parents for it. That’s a lot of money for the FA and Umbro. By comparison continuing with all white ones doesn’t come accompanied by the kerching of tills. the biggest offender of conflating England and Britain in recent times was Gordon Brown,where’s he frae? England being called Britain keeps Scottish Welsh and NI politicians in a job at westminster. Interesting point, tally – England taking “Britain” on the chin does keep the rest of us out of a lot of international and historic trouble as well, but usually when it suits us. Swings, roundabouts, etc.